There will be Refreshments after the Geology Open Night Presentations. Link here to be placed on the mail or e-mail list to receive announcements. How do I get to the Earth and Space Sciences Building at SUNY Stony Brook? One hour toward professional development is available for teachers and professional geologists attending the Geology Open Night lectures. On 3 September 2017, the Democratic People’s Republic of Korea (North Korea) announced that it had successfully conducted a thermonuclear (hydrogen bomb) test. The nuclear test was collaborated by reports of a seismic event with a magnitude ranging from 6.1 to 6.3 by many governmental and international agencies, although its thermonuclear nature remains to be confirmed. Unlike the previous nuclear tests in the region, this nuclear test was followed by a series of small seismic events, with the first one occurring about eight-and-a-half minutes after the nuclear test, two on 23 September 2017, one on 12 October 2017 and several after 2 December 2017. This talk will discuss the seismic results about that nuclear test, the nature of those small seismic events and the crucial information those small seismic events carry about the status of the nuclear test site and environmental impacts in the region. 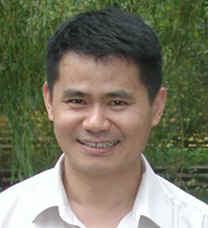 Professor Wen is a theoretical and observational seismologist and geodynamicist. 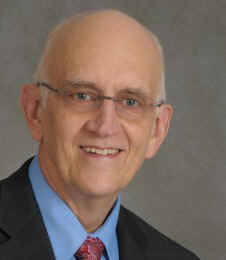 His research is directed toward understanding the structure, dynamics, composition and evolution of the Earth. He uses seismic waves to probe the internal structure of the Earth and its change with time, combines seismic and mineral physics data to constrain the composition of the mantle, and develops geodynamical models of how Earth's internal processes govern the Earth's continental drift, surface uplift, surface large igneous province, geochemistry, intra-plate deformation and volcanism. Professor Wen is a recipient of the James B. Macelwane Medal from the American Geophysical Union (AGU) and a fellow of the American Geophysical Union. Macelwane Medal honors “significant contributions to the geophysical sciences by a young scientist of outstanding ability” and AGU fellowship is a designation conferred upon not more than 0.1% of all AGU members in any given year. In this talk, we will examine seismic velocity and rock viscosity and some of the experimental challenges of measuring properties in the laboratory that can inform us about the Earth. Seismic waves thoroughly sample the Earth’s interior. By extracting the speed that these waves travel, we recover information about the material at that place in the Earth. Rock viscosity is essential for plate tectonics to occur. If we know the viscosity, we can place constraints on the plate tectonic process. We will focus on the role of scale that is needed to make successful experiments. In particular, the Earth is large, several thousand kilometers, but samples are small, millimeters or even microns. Time for the Earth is enduring, but in the lab, an hour may be a long time. What are the limitations of this scale difference and how do we strategize to overcome the difference? Furthermore, what role do pressure and temperature play? Dr. Weidner received his undergraduate education from Harvard University and PhD from Massachusetts Institute of Technology. He is a SUNY Distinguished Professor in the Department of Geosciences where he has been a faculty member for over 45 years. He is currently Director of the Mineral Physics Institute. Dr. Weidner’s research focuses on understanding the deep Earth by understanding the rocks and minerals that make up this inaccessible region. He has developed several new experimental tools to this end. He currently is involved in synchrotron research on samples at high pressure and temperature. His group runs a beamline at the Advanced Light Source in Argonne National Laboratory near Chicago and is building one at the National Synchrotron Light Source II at Brookhaven National Laboratory. He is winner of two international awards; the James B. Macelwane award of the American Geophysical Union in 1981 “For significant contributions to the geophysical sciences by an outstanding early career scientist” and the Inga Lehmann award, also of the American Geophysical Union in 2011 “For outstanding contributions to the understanding of the structure, composition, and dynamics of the Earth’s mantle and core”. The Planetary Instrument for X-ray Lithochemistry, or PIXL, is a micro-focus X-ray fluorescence instrument that has been selected as part of the scientific payload of the upcoming Mars 2020 rover mission. Mounted on the end of the rover's arm, PIXL will be used to reveal chemical clues about Mars' watery past in an effort to determine whether Mars was ever home to microbial life. In this presentation, I will discuss what it takes to mature a scientific instrument from the concept stage to the point that it has been transformed into actual flight hardware, ready to fly to Mars. I will discuss how the data produced by the PIXL instrument can be used to gain a deeper understanding of paleo-environmental conditions on Mars, and the types of chemical "biosignatures" left behind by microbial life that might be visible to PIXL. Finally, I will briefly discuss the three candidate landing sites that the Mars 2020 rover mission might visit, and what each of these sites might uniquely reveal about Mars geological past. Joel Hurowitz is a geochemist and planetary scientist working on the exploration of Mars and the study of modern and ancient Mars analog environments on Earth. He is the deputy principal investigator of one of seven instruments, called PIXL, which was selected for the science payload of the Mars 2020 rover mission. Dr. Hurowitz received his Ph.D. from Stony Brook University working under the supervision of Dr. Scott McLennan. He was a Caltech postdoctoral scholar at the Jet Propulsion Laboratory in 2006–2007 working with Dr. Albert Yen. 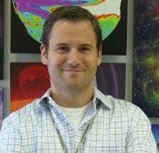 From 2007 to 2013, Dr. Hurowitz was a research scientist at the NASA Jet Propulsion Laboratory. In 2013, he joined the faculty of the Department of Geosciences at Stony Brook University where he is an assistant professor. These lectures are usually held in ESS 001 at 7:30 p.m. on Fridays during the academic year. Professional Development letters are available for teachers and geologists for attending these lectures.